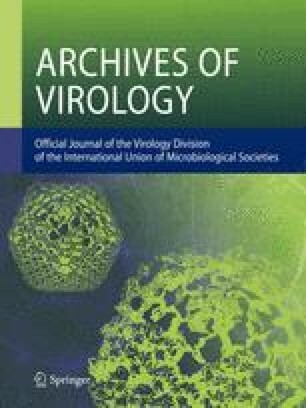 The antigenic relationships of 24 strains of avian infectious bronchitis virus (IBV) were investigated by serum neutralisation tests performed in chick embryo tracheal organ cultures. The serum dilution that neutralised 100 median ciliostatic doses (CD50) of virus was estimated from the linear relationship between varying concentrations of each virus strain and the neutralisation titre of homologous antiserum; this dilution defined 1 antibody unit. Antisera diluted to contain 20 antibody units were then tested by neutralisation against 1.5–2.5 log10 CD50 of each strain. Clusters of both strains and antisera in turn were established by methods of numerical taxonomy using as measures of resemblance Euclidean distance and correlation coefficient, and by analysis by principal components. These analyses identified a group of 8 similar strains; neutralisation of the remaining 16 strains was slight. Similar results were obtained by classifying antisera, except that a further group of 3 antisera was demonstrated, each having a neutralising capacity for most strains. Implications for vaccine formulation are discussed.